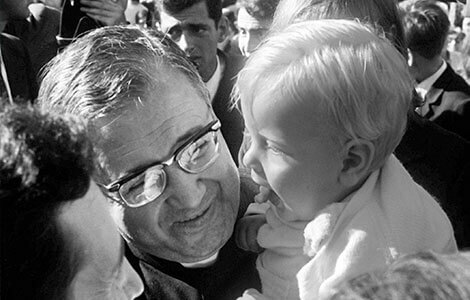 Saint Josemaria Escriva was born in Barbastro, Spain, on January 9, 1902. 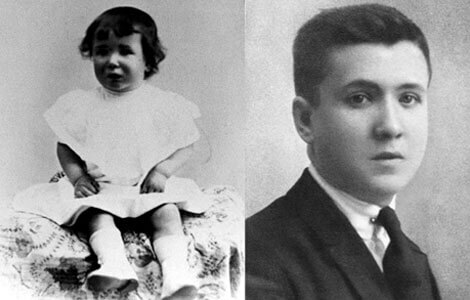 He was ordained to the priesthood in Zaragoza, Spain on March 28, 1925. 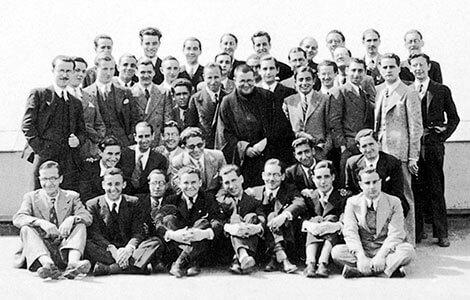 On October 2, 1928, by divine inspiration he founded Opus Dei. On June 26, 1975 he died suddenly in Rome, after a final affectionate glance a picture of our Lady in the room where he worked. 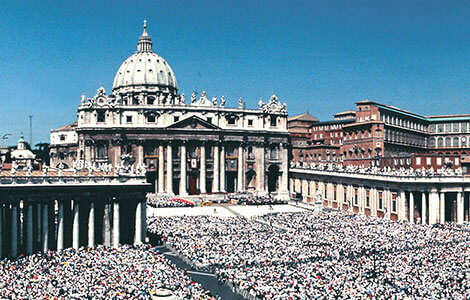 Pope St John Paul II canonized St Josemaria in Rome on October 6, 2002. His liturgical feast is celebrated on June 26. 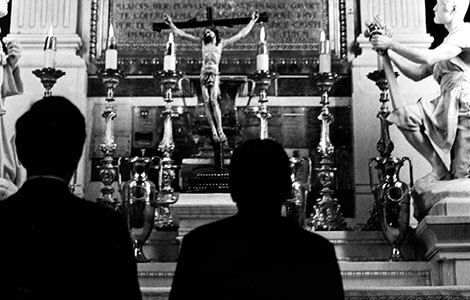 Speaking about his own life, St Josemaria explained that, “the life of a man who lives by faith will always be the story of the mercies of God. At some moments the story may perhaps be difficult to read, because everything can seem useless and even a failure. But at other times our Lord lets one see how the fruit abounds and then it is natural for one’s soul to break out in thanksgiving” (Conversations, no. 72). “Sanctity is not for a privileged few. The Lord calls all of us. He expects love from all of us—from everyone, wherever they are; from everyone, whatever their state in life, their profession or job. For the daily life we live, apparently so ordinary, can be a path to sanctity: it is not necessary to abandon one’s place in the world in order to search for God…because all the paths of the earth can be the occasion for an encounter with Christ” (Letter 24-III-1930, no. 2). St Josemaria Escriva only published a handful of books and only several more have been published after his death. Although the amount of writing he did is vast, the work that consumed him during his life did not allow him to focus on publishing. 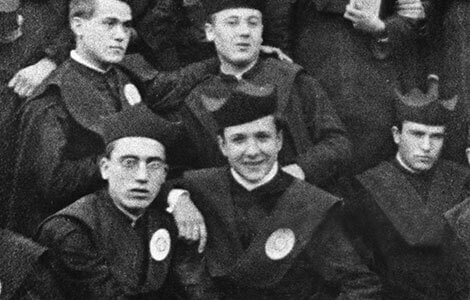 His priority was doing the will of God, taking care of Opus Dei, and serving souls. The books that we do have are each a treasure of loving guidance for a soul that is searching for meaning, for direction, and for a deeper union with God. 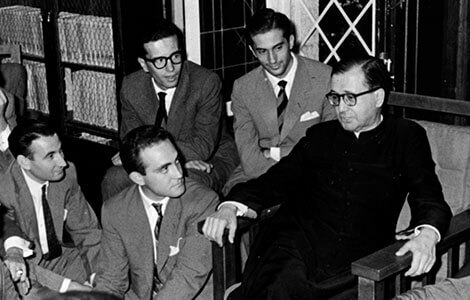 Between 1972 and 1975, St Josemaria Escriva embarked on a journey throughout Spain, Portugal, and Latin America to meet with his spiritual children in Opus Dei and thousands of faithful from all backgrounds. 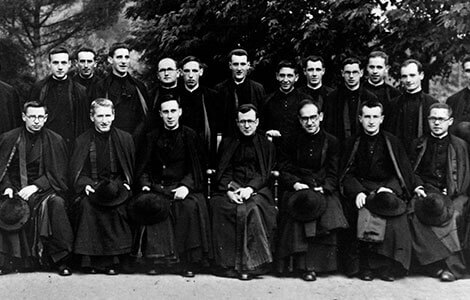 In the cities he visited, he gathered with men and women, young people, and priests speaking to them heart-to-heart about God, the meaning of ordinary life, vocation, and holiness. His intimate yet open conversations would move hearts and stir up the desire to live a deeply Christian life, faithful to Jesus Christ and His Church. 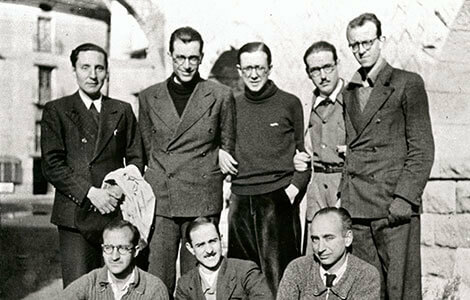 St Josemaria’s assistant and successor, Blessed Alvaro del Portillo, convinced him of the need to record the gatherings for the benefit of the members of Opus Dei around the world, present and future, and for the benefit of the millions of people who would come into contact with his life and teaching. Now on YouTube, these videos capture the priest who was deeply in love with Christ, the Church, and with the world. He foresaw the issues of the day and he helped equip those who were open to it to respond with love and with faith, but also with a sense of daring and confidence. Also available on DVD “Meeting Saint Josemaria Escriva”, which includes over 200 minutes of footage from gatherings in Venezuela, Chile, Brazil, Argentina, Spain and Peru.